North Brisbane Trees is proud to offer Arborist Reports in Brisbane. An Arborist Report is a legal document that lists the findings from tree assessments carried out by a Qualified Arborist. 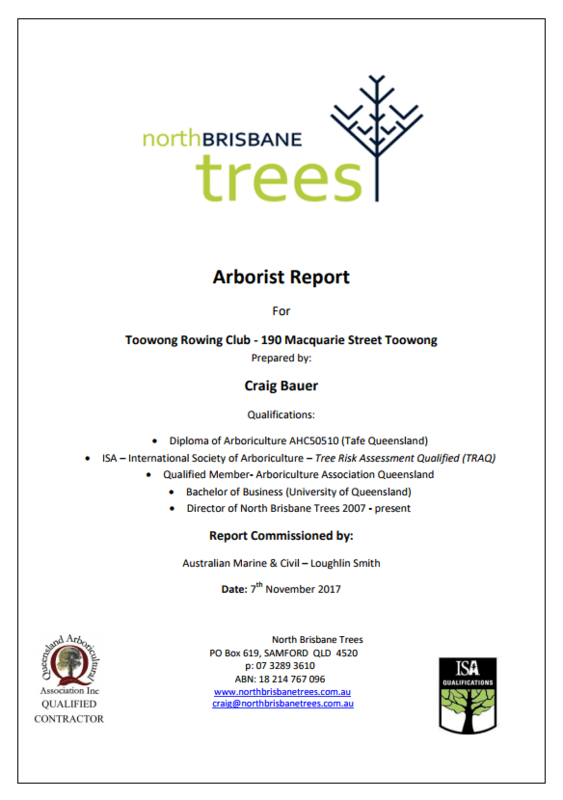 North Brisbane Trees Director Craig Bauer is a Cert 5 Qualified Arborist (Dip Arb) and is also International Society of Arboriculture (ISA) Tree Risk Assessment Qualified (TRAQ). He is qualified to carry out assessments in relation to independent Arborist Reports. North Brisbane Trees are also Brisbane City Council (BCC) Approved Arborists and are qualified to reports required during QCAT matters. This is very important as an Arborist Report can only be put together by someone who is a Cert 5 Qualified Arborist. Ask to see the certification before you engage in any contract with an individual who will compile an Arborist Report. Craig started his Arbor career as a Climber back in 2007 and commenced studies for his Diploma in 2014. 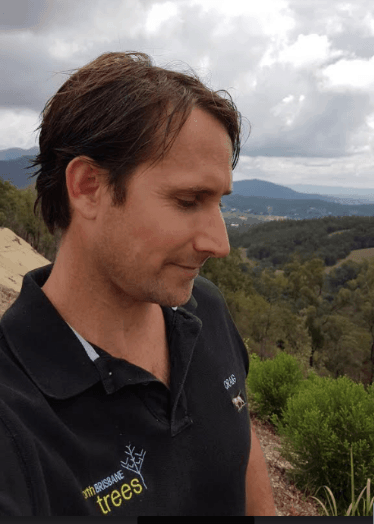 As an experienced and qualified Consulting Arborist, Craig is able to assist you with Reports, Council Applications requiring Tree Reports, Tree Risk Assessments, Tree Health Consultations and Reports required for Development Applications. What does an Arborist Report contain? The details of the Arborist who carried out the assessment and compiled the report. The location of the property; date and time of the assessment and other particulars. The nature of the tree or trees on the property (types, size, condition, etc). Information relating to potential risks/hazards due to the trees. Information on required/recommended tree care. Any other relevant information in relation to your circumstances (for future renovations, changes to the property, etc). Note: Arborist Reports are not just for your own property. They can be conducted on property you are looking to buy so you can make an informed purchase decision. How much does an Arborist Report cost? Approximately $600 – $800 inc GST for a detailed report that would be submitted to Council / QCAT etc. These prices are an indication and pricing may vary. North Brisbane Trees will ensure you are properly informed beforehand. This is a great addition to our very comprehensive list of tree services which we are fully insured for. We are Brisbane Arborists who serve our beautiful city with pride! Call our office now on (07) 3289 3610 to arrange for Craig to attend your property now. Or get in touch via our Contact page. You can rest assured that the Brisbane Arborist Reports provided by North Brisbane Trees are legal and legitimate because Craig Bauer is a Cert 5 Qualified Arborist and is a highly experienced tree professional.